As a beauty blogger (who also has a day job in beauty), I've had the incredible fortune of being exposed to many brands – I affectionately/despairingly call my office desk a magpie's nest, and more often than not, apologize for the beauty products littered on my apartment floor when visitors take a peek. With such product overload, there are few brands that I am absolutely loyal to. There's a constant need to try new things and form opinions. Occupational hazard, I joke. If there is one brand I return to over and over again, it's Tatcha. Since my first post on their Beauty Ritual in October 2012, my love for them has only deepened. Very rarely do you find a fledgling brand (it's only ~4 years old) that maintains such integrity and dedication to detail, from marketing to customer service to the products they sell. It's funny to reread my old Tatcha posts and see that I offered suggestions, like hoping they'd create an eye cream, and know my wishful thinking did come true in a few months. 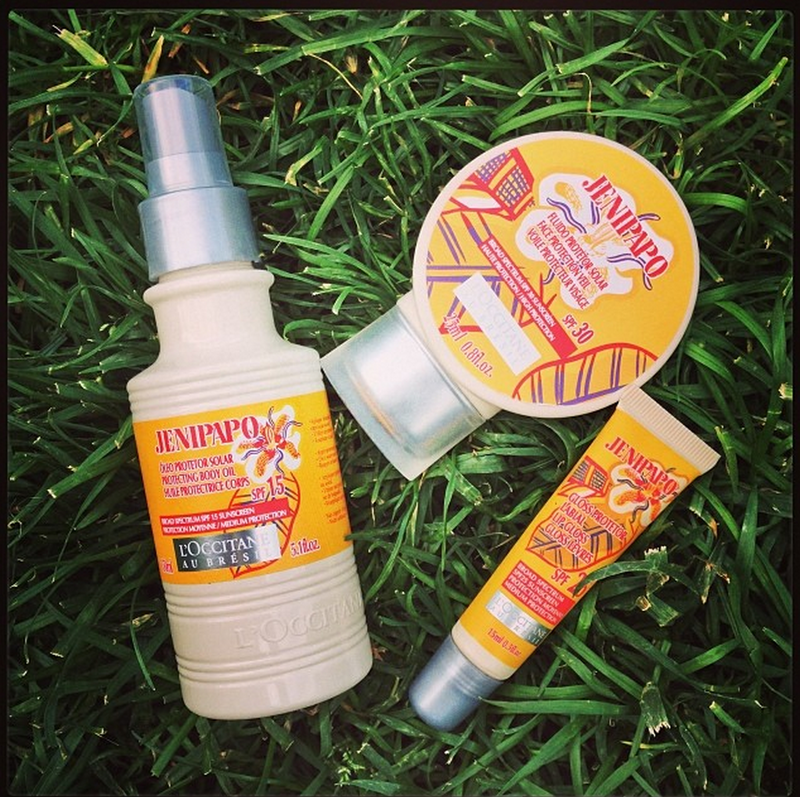 For the curious: According to posts on their social media, they're working on sunscreen (!) 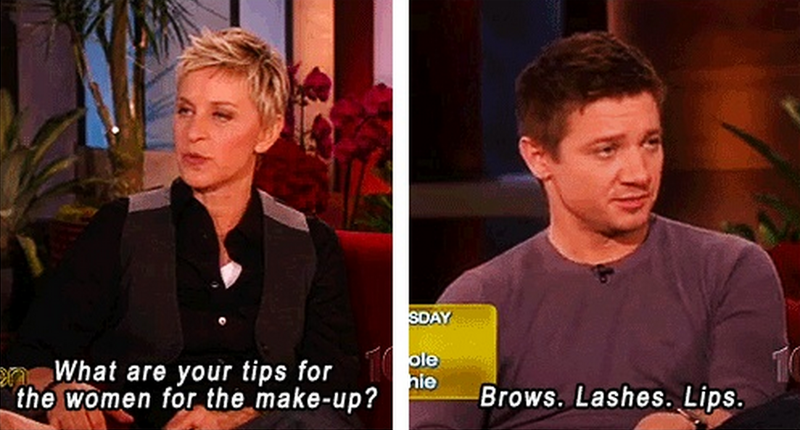 and lipstick (!!). 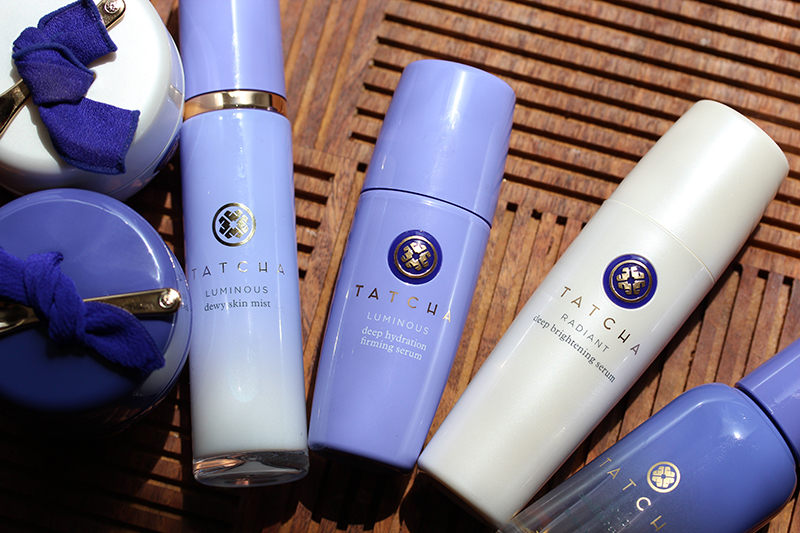 This summer, Tatcha introduced two new items to their Water Collection, adding the Luminous Deep Hydration Firming Serum and Revitalizing Eye Mask to its already impressive roster (comprising of the Dewy Skin Mist and Lifting Mask). While the Radiant Deep Brightening Serum works as a radiance serum that combats hyperpigmentation and discoloration, the Luminous Deep Hydration Firming Serum ($90 for 30ml/1 fl oz.) is purely for hydration. 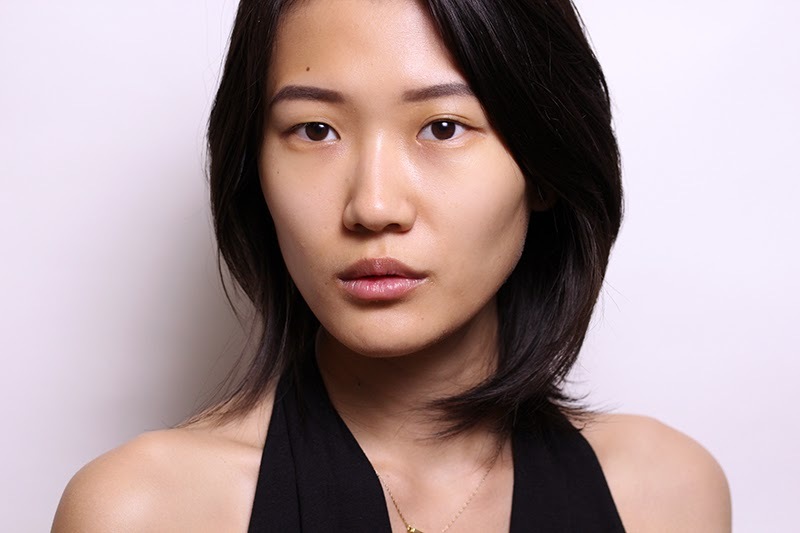 According to the Tatcha blog, Vicky was inspired to create this serum after makeup artist Daniel Martin told her that he loved using the Deep Hydration Lifting Mask on models' faces before painting them, but needed something that worked quicker. 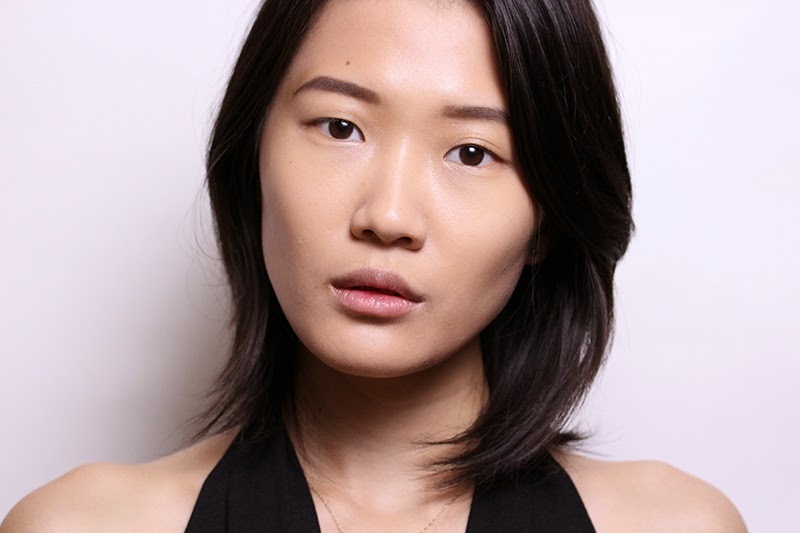 Vicky essentially bottled the deeply hydrating spa-in-a-sheet mask and created this serum. In addition to firming and plumping effects, this serum contains crushed 23-karat gold that brightens the skin ever so slightly. The soothing scent features hints of green tea. The Luminous Deep Hydration Revitalizing Eye Mask ($12 per sheet/$95 for 10 sheets) is essentially a concentrated version of the Lifting Mask, temporarily banishing signs of fatigue from the eye area by giving it a firming hydration boost. I wore it while writing this post, and within the 15 minutes of application, noticed a marked improvement in the skin around my eyes. I looked as if I'd slept undisturbed for 12 hours. Loathe to waste the extra serum (and because my mouth area sorely needed help), I stuck these to the sides of my mouth and enjoyed the same benefits. It is a shame that the effects of masks are ephemeral, because my post-mask skin looked radiant, happy, and healthy. I highly recommend use before important events. When I get married, I'm going to make sure I have a stash of these in stock. Tatcha Luminous Deep Hydration Firming Serum and Revitalizing Eye Mask are available for purchase online at tatcha.com. P.S. 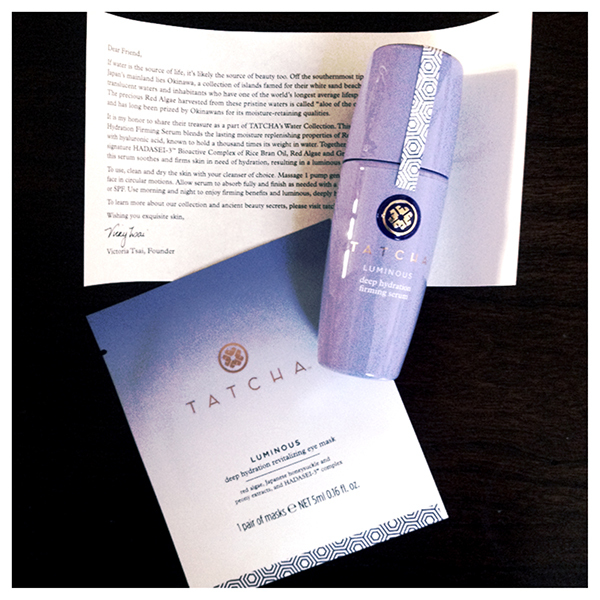 Tatcha just launched an amazing gift with purchase offer! For every $75 purchase on tatcha.com, you'll get a complimentary "Summer Essentials" kit that contains the Dewy Skin Mist, Original Aburatorigami Blotting Papers (super essential), and Deep Hydration face and eye masks. Use code SUMMERFUN14 at checkout to redeem. Offer is valid till July 3, or while supplies last. Apparently, my summer is all about lips. 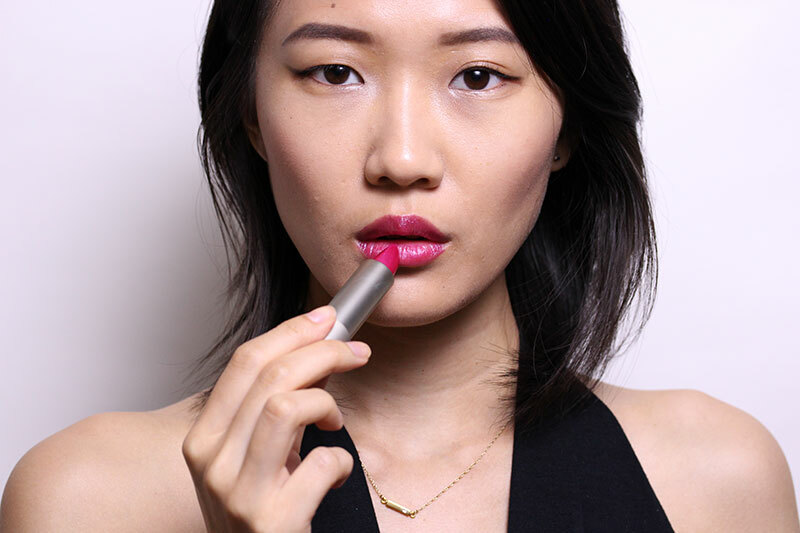 Ilia Beauty Tinted Lip Conditioner in Jump is another good one for the sweaty season. 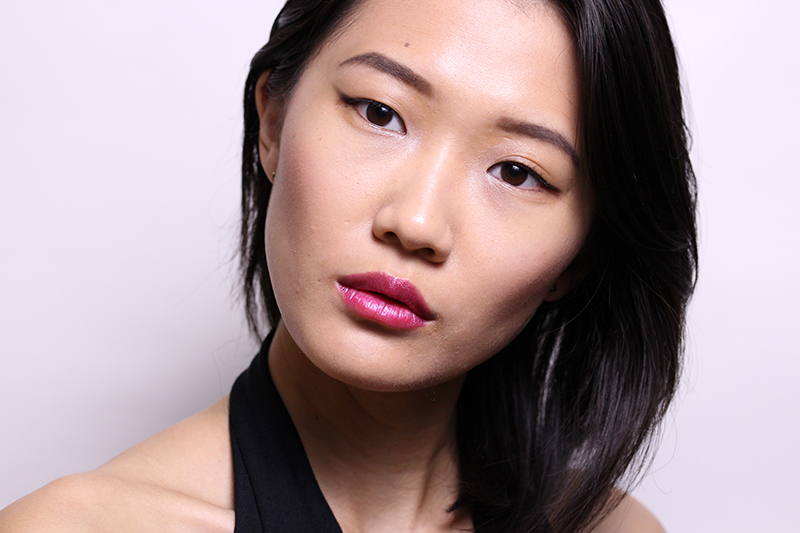 The formula is lightweight and balm-like, with build-able pigment. 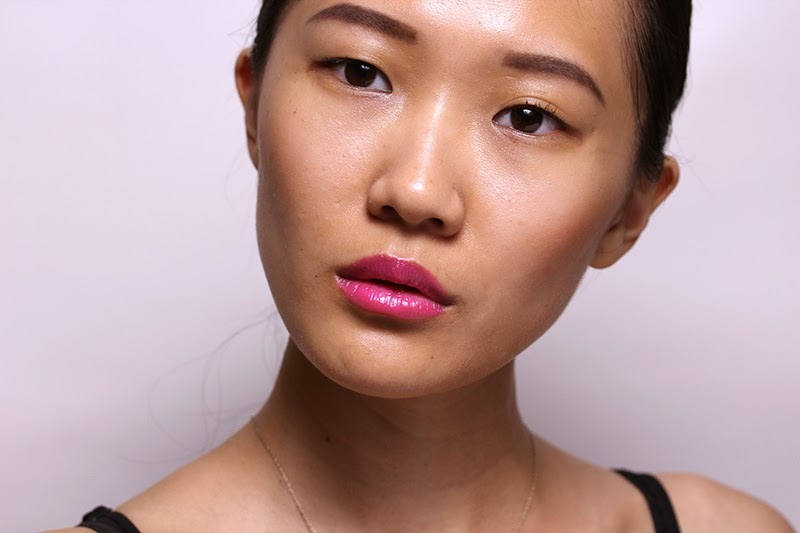 If you apply just one layer, it provides a slight tint on your lips. 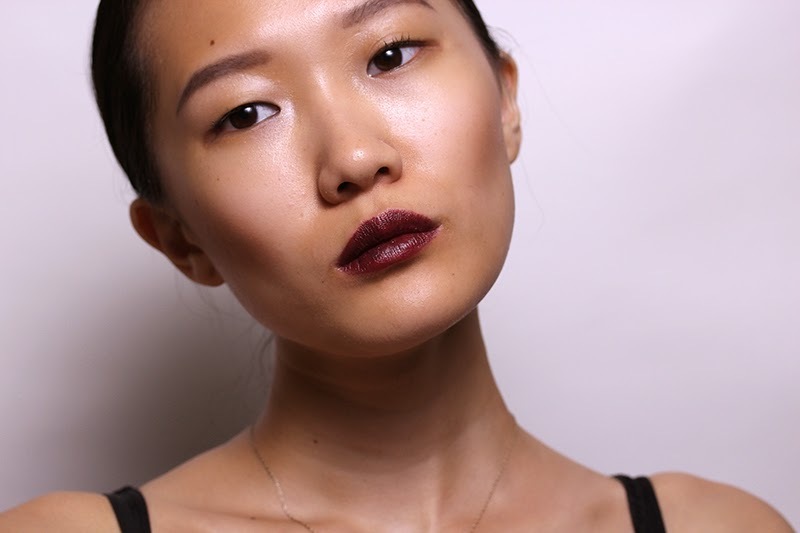 Since I'm obviously a "go big or go home" person when it comes to lips (see past example), I applied Jump 3-4 times to get my lips to the true-to-bullet magenta hue in the picture above. It's always nice to know that you have the option for color! 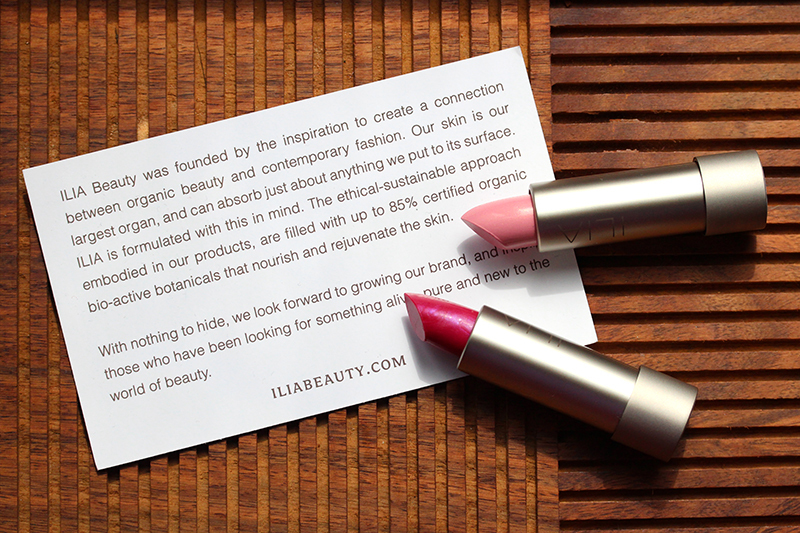 For those who are unfamiliar with Ilia Beauty, it's frequently mentioned alongside other green beauty brands, such as RMS Beauty, Kjaer Weis, Kahina Giving Beauty, and Tata Harper. I was first introduced to it when I interned at Lifestyle Mirror. My beauty editor loved green products and tried to incorporate them in every story he could. MVPs of the brand include Polka Dots & Moonbeams Illuminator and the Multi-Stick, while I'm personally intrigued by the Lipstick Crayons. I guess I have a thing for crayon-style lip products. 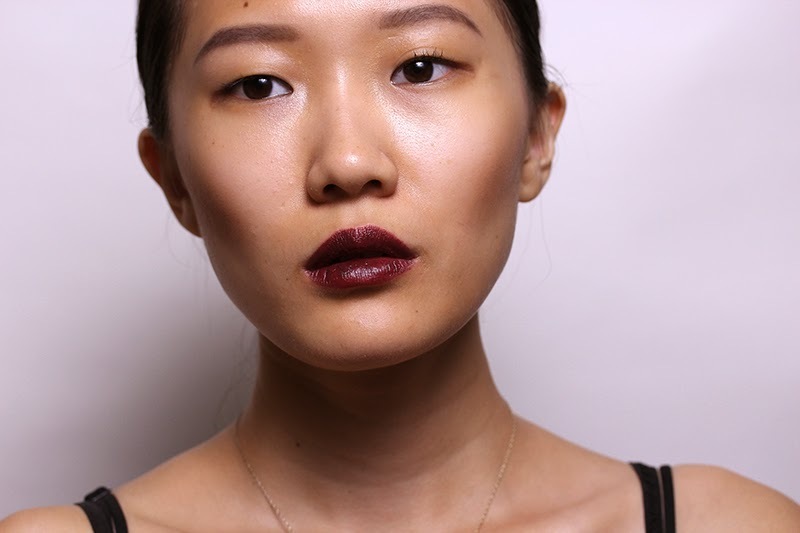 Just so you know – even though I piled the color on my lips, the lipstick never felt heavy or like it was swimming around. Fantastic for summer, really. Ilia Beauty Tinted Lip Conditioner in Jump retails for $26 at spiritbeautylounge.com. 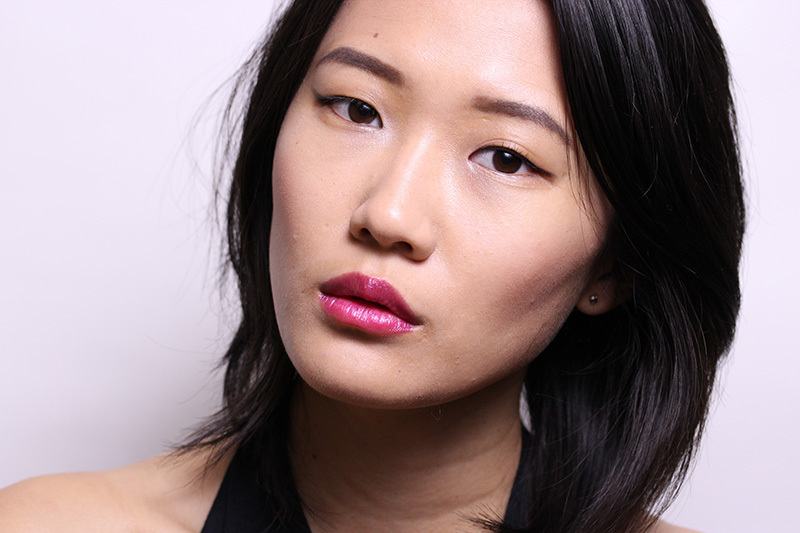 Beauty PSA: Diorblush Cannage available at saks.com! If you were one of those who missed out on getting these when they first launched at Saks, IT'S BACK! Never have I meant this cliched marketing speak so fervently: Get it before it's gone! How refreshing to know that it can sometimes be true. Diorblush Cannage Edition retails for $60 on saks.com.